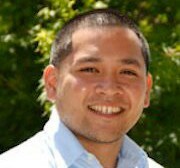 My name is John Caguin, and I am the Outreach Manager for National Holistic Institute. You may have met me in your classroom, career center, or college fair. 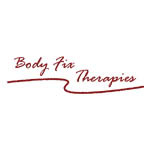 I am a fourth generation massage therapist, and a second generation graduate of NHI’s Massage Therapy School. NHI has ten campuses throughout the state, making it a true California college for massage therapy. Each massage therapy school at NHI’s ten campuses has a unique culture informed not only by our staff and students, but by the communities surrounding them. Below you will find videos, statistics, and a step-by-step guide on how you can get started in having work you love. What is the Job Outlook for Massage Therapy? The Job Outlook for Massage Therapy is very promising. Take a look at the statistics below! Why choose National Holistic Institute? What is the Consumer Outlook for Massage Therapy? The Consumer Outlook for Massage continues to grow every year. Consumers visit massage therapists 230 million times each year. 40% of Americans receiving massage in the past 5 years reported they did so for health conditions such as pain management, injury rehabilitation, migraine control, or overall wellness. In 2011, 96% of massage therapists indicated they received referrals from health care professionals at least once every 6 months, with an average of about 4 per month. How do I get from High School to Massage School? STEP 3: Invite your family and friends to come along! Already started your FAFSA? Enter NHI’s school code: 017063 to see what you may qualify for. Haven’t started? Start your FAFSA NOW! It’s FREE!